Chakras are not of the body, yet are with the body to bring oneness to the Four Quadrants of Life being the Body, Mind, Soul, and Spirit. The Sanskrit word for “Chakra” means “Wheel”. 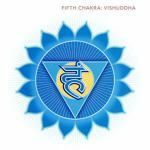 Therefore Chakra represents the wheel of movement or wheel of life that is endless like the circle. Chakras are vortexes of energy that create the spinning wheels into action. You will find many different versions of what such wheels look like. Search the internet and see what feel right to you. For ease of reference, I have provided this version for three main reasons. • The First shows the names and location of the seven individual Major Chakras both in English and Sanskrit. 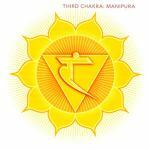 • The Second shows the main attributes each Chakras works on. • The Third shows the second of the two thoughts that lay within the Spinning Wheel as described above and below. Being a sacred and highly revered flower, The Lotus has become the symbol of the Chakra for many who wish to use this image rather than the version of the spinning wheel. In this way, one can visualise this either opening or closing like a flower. When the flower is closed, this energy is under active. This can lead to illness and other negative situations. When the flower is too open (flatten like appearance) it would indicate it is overactive thus going to the opposite ends of being. When the flower is opened gently and no in danger of closing or being too wide open then it is said a balance is maintained. Each Lotus flower is represented by a certain number of petals, depending on the location of the Chakra (Refer above image). According to the Tantric system, the petals can range from 2 to 1,000 petals. 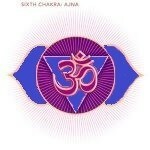 As stated in the beginning Chakras are not of the body, well not in the physical sense as the heart, brain, kidney etc. there are no spinning wheels or flowers in physical form within the body. Yet they are with the body via the energy of which life is comprised of. Just like the mind, it is not a physical form but still, operates and is associated with being part of the body. Where one believes they are being affected, the mind although not a physical object can pack a powerful punch that can feel quite real and at times painful. On the flip-side, it can place you in a state of bliss and happiness that may give you that feeling of freedom and joy is within you. The same would be for emotions, it is not in physical form, however, depending on the action taken when dealing with different levels of emotions and situation (both positive and negative), can make the realisation of such emotions as real. This action can produce pains in the stomach from laughing too much, or in sadness can create pain in the stomach where one could physically become sick. The mind and emotions often go hand in hand and Charkas are the same in that they are not physical yet any imbalance, even an overbalance could produce many of the thoughts, feelings and even physical actions as described above and more. In fact, the mind, emotions along with the energy of the chakras are all part of each other that also affect the physical body, mind, soul and spirit. (This is for both positive and negative actions). So where are they if not in the body? The physical body is only one of seven forms of bodies that co-exist and interconnect with each other. Each of these bodies vibrates at different energy and as they descend towards the physical body the energy becomes in a denser form. The physical body is most dense of all. Hence the ability to see, move and experience life in this physical form that you currently exist in. Just like the Chakras, the bodies are not normally seen by human eyes, but as one learns to re-align from within. One will find that balance in body, mind, soul, and spirit then one could sense and know what each body feels like perhaps see with the Three Eye Chakra. At this point, there is not the curiosity to know what the various bodies look like as at this stage in development one would just be without the need to question a higher source. The 7 chakras reside within the second body that is the Etheric body which is pretty much identical to the physical body but lies just outside and it about a couple of inches outside the physical. The Etheric body is the connection between the physical and the other higher bodies. To some degree, it controls the balance and stability of the health of the physical body. However, the conscious mind whether willingly or otherwise can allow negative energy that can penetrate and create that dis–ease of the physical body. As there is a lot to cover on the various bodies along with keeping this article from becoming too large, you can read more on The Seven Bodies of existence here. For now, let’s continue back to the chakras. There are seven major chakras located within the body system (more on this later) with each one working on its own qualities as shown in the top image. However; they need to be in alignment in order for the body to be balanced at all levels as described. As such, there is always an overlap and interconnection between each and every chakra. Sometimes to the point where they can overcompensate due to another chakra that may not be in harmony as it should. 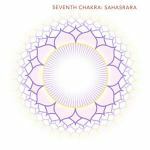 These seven chakras are associated with the alignment of the body towards the spine region. (As shown in the top image at the start). Now, although each chakra has a location they are associated with, as stated above there is always an interconnection with each chakra. This allows for what is already established, hopefully, to grow and maintain a healthy outlook and balance in life. At other times there may be a weakening found within the auric field, this can actually be the result of many an illness in human living and also lifestyle, however, soft or strong it may be for the individual. 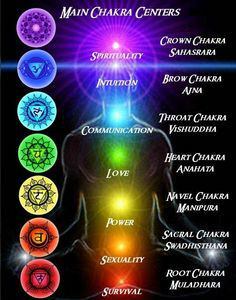 Before going further, you will find below an overview on the seven chakras. As there can be much to discuss on each Chakra, it will be best to do proper justice to mention them separately and in more detail in future posts. 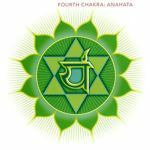 To read more in-depth meaning relating to each Chakra, you can click on the Chakra name which will lead you to that particular Chakra. There are main ways that Chakras can be used, combined with other modalities and methods. However, all in all, that end result is aimed towards the same concept. To help re-align and balance all aspects of the Four Quadrants being the Body, mind, soul, and spirit. The first three of the Chakras, start from around the base of the spine ending towards the abdomen. These three Chakras generally relate to the physical aspects of life. Location: Located at the base of the spine or coccyx area. Function: This Chakra relates to stability, grounding, financial and security aspects. Alignment: When in balance you feel safe, secure, and confident in yourself. Function: This Chakra relates to Sexuality, emotions. Alignment: When in balance you are comfortable with your own sexuality, feelings, and emotions with yourself and others. Location: Located above the navel and just below the breastbone area. Function: This Chakra relates to personal power, ego, and self-mastery. 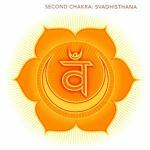 As the first three Chakras represent the physical, the next chakra although it is also a spiritual chakra also acts as the balance or interconnection between the first lower three and the three upper spiritual chakras soon to be mentioned. Function: This Chakra relates to unconditional love and acceptance of yourself and others. Alignment: When in balance, you find unconditional love which gives you the Freedom, Joy, and Gratitude. Function: This Chakra relates to communication and expression for you and to others. Alignment: When in balance you are able to effectively communicate with others without criticism or judgment. 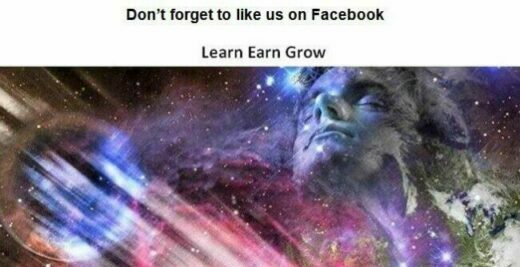 This also applies to communicate with yourself. Location: Located towards the centre of the forehead between the eyes. Alignment: When in balance you bring an expansion of awareness, insight, and connection with the higher consciousness of ALL THAT IS. Location: Located towards the centre of the top of the head. Function: This Chakra is the gateway to pure consciousness and the connection of source (ALL THAT IS). As one progresses forward in life and re-aligned between all Chakras, you will find a much greater sense of connection and oneness. This shift occurs where you start to become aligned with the Four Quadrants of life. 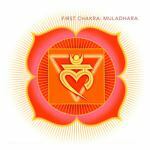 On the next post, we will discuss more on the First or Root Chakra. Until then May the blessings and energy of light bring forth peace and harmony within.